Depending on how things play out, this past Monday was either an important milestone in Australia’s media landscape or just another Monday. It saw the official launch of Hijacked, a slick website that badges itself as being by students, for students. Managing editor Lisa Omagari describes Hijacked as a “digital campus with the potential to connect 1.25 million students”, which aims to find “Australia’s diverse and intelligent student voice”. The website promises to cover the full gamut of news, opinions, and culture. Contributors must be currently enrolled in a course at university, TAFE, or a college. Students who submit content may also be paid for their work. Those articles that garner over 500 unique visitors will earn their author $50 in cash or a Westfield voucher of the same value. While this sounds like a good deal on its face, youth website Junkee is said to pay between $80 and $130 per article, without a click threshold. The ethics of Hijacked’s rewards system is also muddied by who’s behind it. 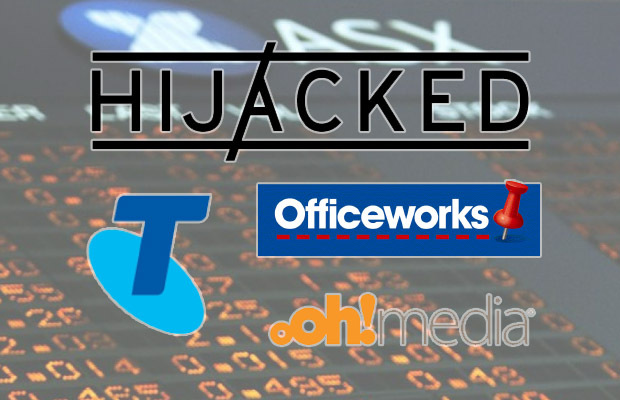 It lists Telstra as its Founding Partner and Officeworks as a Key Partner, and it was founded by oOh!Media, a cashed-up media player which until 2012 was listed on the ASX. Given the involvement of big business, Hijacked is unlikely to be a philanthropic venture, and will likely be aiming to use students’ writing to make a profit. More unusually, the website also plans to syndicate content from existing student publications. Omagari says that the syndication model is “mutually beneficial”. She argues that it means student publications will amplify and broaden their readership, raising their public profile on a national level. Any syndicated article will feature the original publication’s logo prominently, and student publications will still get to publish the content first. It seems few student publications are looking for a friendship with benefits. According to Omagari, Monash’s Esperanto, UNSW’s Blitz and Sydney Uni’s own BULL are already on board. BULL editor Sean O’Grady sees Hijacked as a good opportunity. “We foresee it meaning that our work will be more widely shared and they don’t retain exclusive rights,” he says. However, those who have signed on aren’t major players in Australian student media – indeed, they’re not even the best-known publications at their universities, coming second to Lot’s Wife, Tharunka and Honi respectively. Hijacked has weathered criticism from student editors for seeming a little desperate. Lot’s Wife editor Amy Fitzgerald tweeted late last week, “Wow now @HJCKD are using the names and images of actual student-run & owned papers without permission. How much lower will they sink…” The website has created an Honi Soit user profile with an “About me” section, despite the editors not signing on. RMIT’s Catalyst has declined Hijacked’s offer. “Catalyst didn’t sign on with Hijacked because after discussion with our media officer there was some level of concern about providing a third party with free content from RMIT students in order for that third party to make a profit,” says editor Broede Carmody. Honi editor Justin Pen says this paper has not been formally approached but would probably decline overtures from Hijacked. While the editorial team has not discussed the issue at length, Pen is “vehemently opposed” to signing up with Hijacked. Pen also objects to Hijacked’s editorial approach. “While Hijacked advertises itself as ‘for students’ it seems to only see them as content creators, rather than managers,” he says. Omagari did not give any hints as to her editorial approach, saying only that Hijacked would be a “hybrid website” with “news, views and pop culture”. We’ll have to wait and see.